Some people just have all the luck, but it’s rare to be lucky all the time. So it’s quite common, especially in Japan, to pray for additional luck. For anyone who perceives him or herself as inherently unlucky, a fortune promising good luck can produce all the confidence needed to face the next day. Of course, some people are just born lucky. The ten characters on this list are all like that. Some have had second chances at life, while others have simply been blessed with skills that make them superior to everyone around them. Some have even achieved their dreams or overcome obstacles without having to work a day in their lives. They’re all inherently lucky, and that makes us all jealous of them. 10. Aoba Suzukaze from New Game! Aoba is living the video game player’s fantasy: working her dream job at the development company responsible for creating her favorite video game of all time. 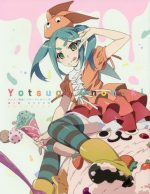 She even works under her role model (Kou Yagami), and regularly interacts with talented individuals in the gaming industry. She also doesn’t face many speed bumps within her first year on the job. The first character she has to 3D model takes a bit longer than she would like, but Kou regularly remarks how much faster and more efficiently Aoba is improving in comparison to the artists who have previously had Aoba’s role. 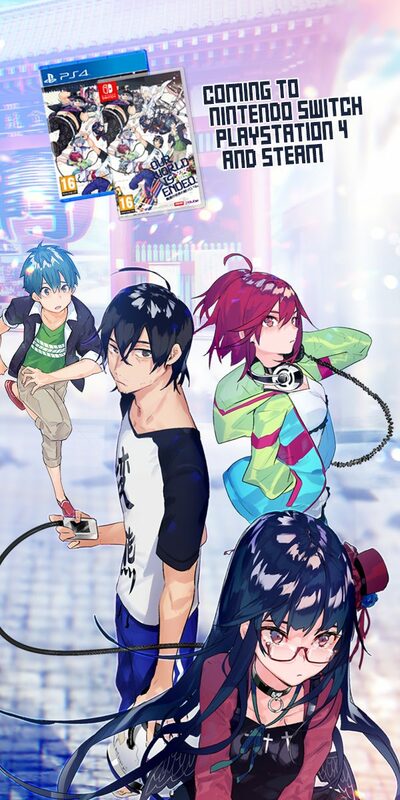 The first game Aoba’s is a part of gets developed without much fuss. In the video game design world, that’s unheard of. It’s insane that Aoba gets to, for the most part, skate on by through her first game release. The major crunch time she’s warned about is resolved rather quickly and the few other problems that occasionally pop-up are almost all interpersonal relationship-related. 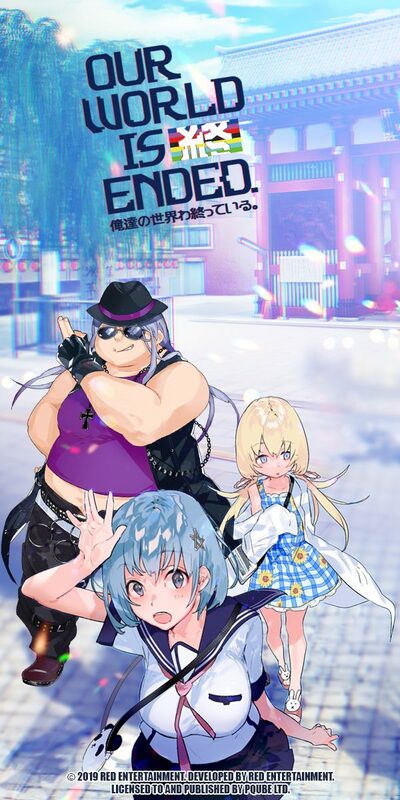 Aoba is incredibly lucky to be blessed to work with caring colleagues, never face any form of work-related harassment, and launch her first game without fear of cancellations or major delays. 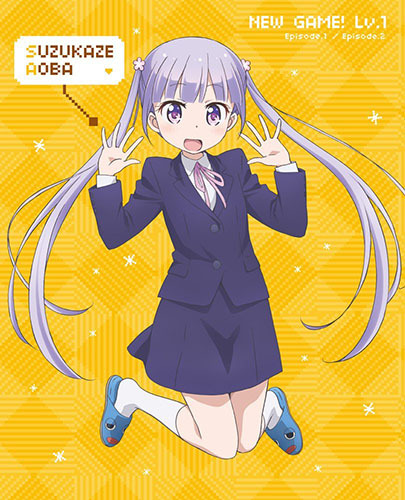 Aoba’s second year at the company (New Game!!) proves to be much more challenging for her, but she really lucked out with her first job straight out of high school. After her father passed away, no one in her family wanted Rin. Her father was old enough to have several grown grandchildren, so the rest of her family saw her as an embarrassment. She would have gone to an orphanage if it wasn’t for the kindness and patience of Daikichi Kawachi, who became her legal guardian. 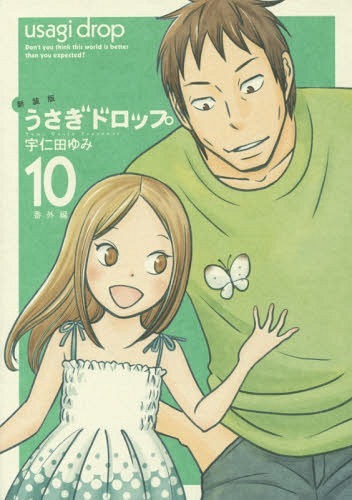 Daikichi is a 30-year-old, single bachelor who’s never taken care of a kid before in his life. Most men would have fled from the situation and abandoned Rin, but Daikichi stuck with her. Rin is lucky to have been taken in by someone like Daikishi, who both showed her how to love again and helped her take her first steps towards becoming an adult. She ran the risk of turning out much worse had she been left alone. Lucy is just some random wizard in the land of Fiore. We learn she’s the daughter of a pretty famous celestial wizard and she joins Fairy Tail, an infamous guild known for its strength, but she’s just another wizard. So it’s pretty surprising she’s able to acquire 10 of the 12 Gold Celestial Keys. Celestial Keys are the tools that celestial wizards use to summon the spirits they can utilize in battle. The gold keys are especially valuable as they unlock the 12 strongest spirits. Lucy starts her journey with 3 (which she inherits from her late mother), but over the course of her journey she manages to snag 7 more. The anime makes a big deal about how rare these golden keys are, and makes a point that it’s practically unheard of for any celestial wizard to possess more than 2-3 golden keys at a time, but Lucy eventually possesses more than three times that number. It’s not like she’s actively searching for the keys either. She lucks into them. 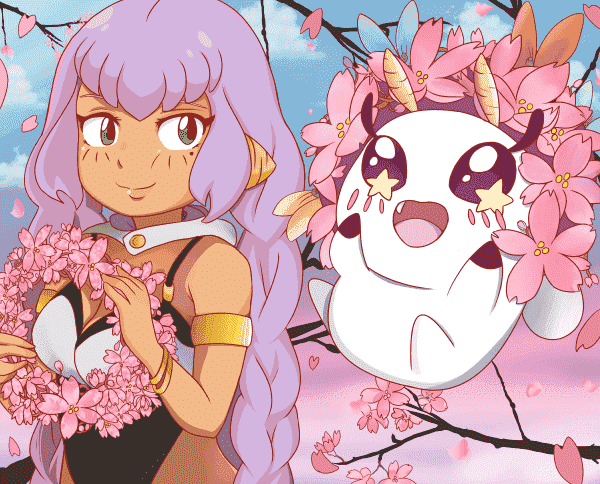 They either (sometimes quite literally) fall into her lap, or she defeats evil celestial wizards and their spirits join Lucy to be with a stronger and kinder wizard. Lucy is also pretty lucky to be associated with the strongest team in Fairy Tail (alongside Natsu, Wendy, Gray, and Erza), as her level of power doesn’t match that of dragon slayers, a demon slayer, or a knight requip magician. She’s usually the one in need of rescuing. Luckily, Natsu is almost always there for her. 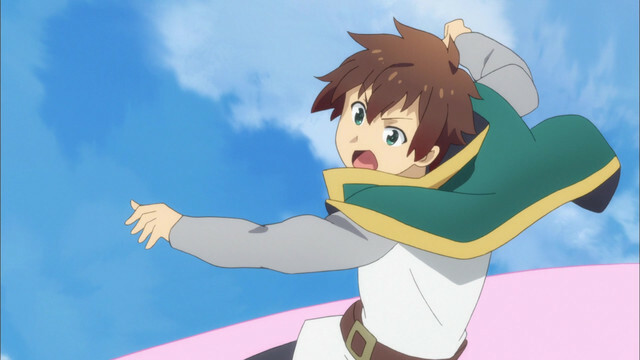 Kazuma is one of the luckiest anime characters around. Sure, he died a pretty embarrassing death, but he got a second chance at life! Yes, his companions are all idiots, but at least none of them can bypass the incredible luck he has at Rock-Paper-Scissors. 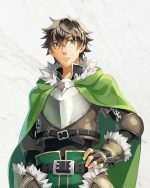 And even if he and his friends constantly fall on hard times, they always somehow manage to find a way to overcome the obstacles in their path. 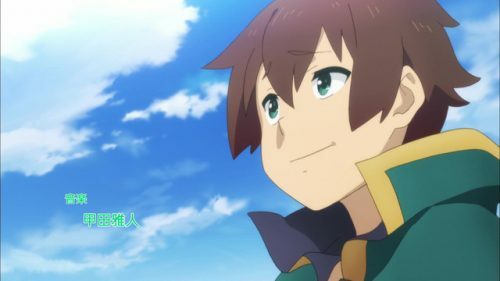 It might be better to say that Kazuma is the luckiest unlucky person ever. Consistently, monsters, demons, cults, or the police find a way to ruin his happy life, whether via obsessive sign-up campaigns or criminal charges. However, the perverted otaku unfailingly proves to be one of the luckiest adventurers of all time. He’s certainty not thinking or fighting his way out of the situations he finds himself in. He’s too pathetically weak and stupid for that. 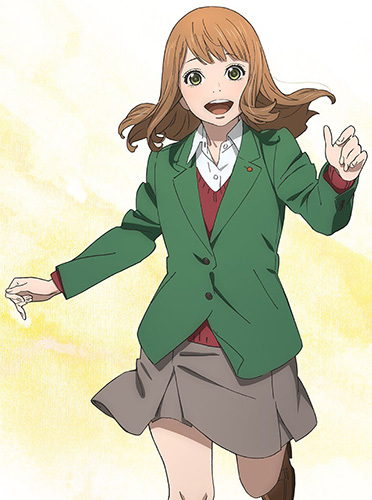 Naho is one of the few characters in anime who actually knows her own future. She receives a letter on her first day of sophomore year of high school, warning her of future events she will come to regret. The letter is signed by her future self, and after several of the events in the letter turn out to be true, Naho realizes the letter is genuine. Through the letter, Naho gets a “second chance” at life. She’s doing everything for the first time, but the letter gives her the confidence to try things differently from how her future self did them, as well as express her feelings and thoughts more openly. 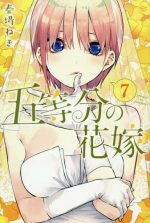 Following the letter’s advice also gives her the chance to save the life of Kakeru Naruse, a transfer student who would have committed suicide at the end of the school year. Naho clearly has romantic feelings for him, and her future self unmistakably regrets never having the opportunity to at least express those feelings while Kakeru was still alive. By the end of the anime, we see how future Naho delivered the letter to her past self. The process is based on mathematical probabilities but has such a miniscule chance at success, it’s a wonder Naho is able to send a letter through time at all. She’s really lucky it worked. Yumeko transfers into Hyakkaou Private Academy and turns the school on its head. The academy is designed to train future politicians and business leaders by churning out gifted gamblers who know how to win. Yumeko doesn’t care about winning, though. She just wants to experience drastic stakes and push both her sanity and her opponent’s to their very limits. 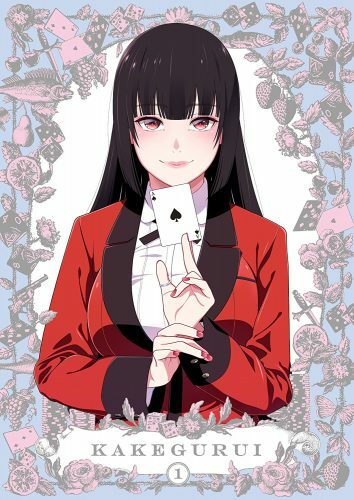 A gambler who just likes to gamble would normally ride a rollercoaster of ups and downs, but Yumeko is insanely lucky. She’s naturally talented at most games, but skill only takes you so far when dealing with games of chance. However, even when the odds are stacked against her, she’s able to claim victory. She truly only loses once in the entire anime, and it’s solely because outside forces interfered. Yumeko wins everything else, from Blackjack to Russian Roulette. It’s more than a little unsettling to watch her face twist into demented contortions as she gets off on the rush of betting it all, but it’s even more unnerving to see her, somehow, single-handedly destroy an entire casino and control people like they were her puppets. Nicknamed “Sugimoto the Immortal,” Sugimoto just won’t die. It’s not like his enemies aren’t trying either. Sugimoto has been stabbed, shot, punched, bludgeoned, and plunged into frozen cold water. The scars crisscrossing all over his body prove he’s been through dozens of other near-death experiences long before the anime even started. Yet the dude has a survival instinct second to none. He seemingly wills himself to stay alive. Sugimoto also lucks out twice near the beginning of the anime. 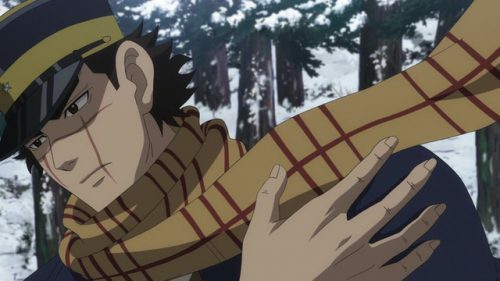 First, when Sugimoto is in need of some money, he just so happens to meet a criminal who drunkenly reveals how to locate a hidden stash of gold. Plenty of things had to go Sugimoto’s way for that to happen. 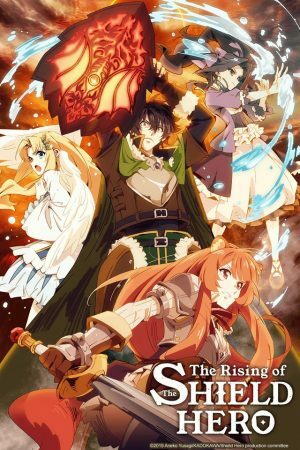 Second, after his journey to recover the gold starts with the challenge of defeating a man-killing bear, Sugimoto meets a young woman who possesses the exact skills needed to accomplish such a task. It’s not quite deus ex machina levels of coincidence, but it’s pretty close. Dazai is lucky in more ways than one. 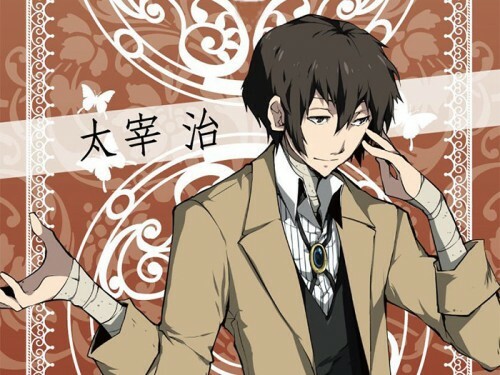 A brilliant strategist and hand-to-hand combatant, Dazai is one of the best investigators and fighters for the Armed Detective Agency, a collective of superpowered detectives who tackle crimes the normal police can’t (or won’t) handle. In a world where the most dangerous criminals are born with supernatural abilities, Dazai is blessed with one of the luckiest superpowers of them all: No Longer Human. With just the touch of his hand, Dazai can cancel out the ability of any other person. It doesn’t matter whether his opponent has the ability to transform into a fierce tiger or manipulate gravity, Dazai can reduce any fight to a bout of fisticuffs within moments. Dazai is also one of the few ex-members of the Port Mafia who didn’t leave the organization in a body bag. Dazai was an elite enforcer for the criminal empire before becoming disillusioned with their mission and joining the side of law and order. He had good friends who helped him see a way out of a life of crime before he completely lost himself to darkness. Dazai was lucky enough to be accepted by the Armed Detective Agency, where he discovered a new family and a chance to bring out the best in others. Dazai also has the peculiar knack of being terrible at suicide. Though he does eventually devote his energies elsewhere later in the anime, Dazai spends a good deal of Bungo Stray Dogs’ first season trying to kill himself. In every instance, the most bizarre occurrence of luck stops him just short of completing the deed. You’re pretty lucky, Dazai. Whether you like it or not, you’ve got an angel looking out for you. Any protagonist who manages to make it through the twisted, demented plot lines of a horror anime without suffering bodily harm is incredibly lucky. 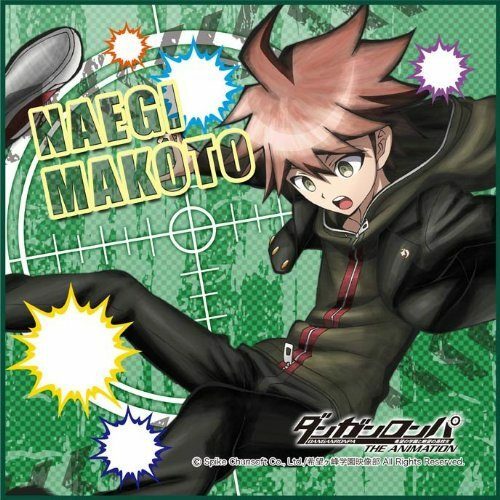 However, Danganronpa takes demented to new levels, and Naegi is one lucky guy to survive the events of Hope Academy. The death trap Naegi and his fellow students find themselves in is purposively designed to stoke despair and snuff out all hope. Even though he and a few of his classmates do manage to escape, Naegi should have been mentally and emotionally scarred. It’s nothing short of a miracle that he makes it out while still maintaining a positive outlook on life. There’s also the small matter that he’s suspected as the first murderer in the academy on the second day. If it weren’t for the intervention of the stoic Kyoko Kirigiri, he’d have been killed. Guess his classmates can count themselves lucky too, because if they had wrongly convicted him, they’d all have been killed off. 1. Yuugi Mutou from Yu-Gi-Oh! “I believed in the heart of the cards,” is the closest Yuugi ever gets to saying, “I was very, very, very, very lucky,” but that’s exactly what it means. 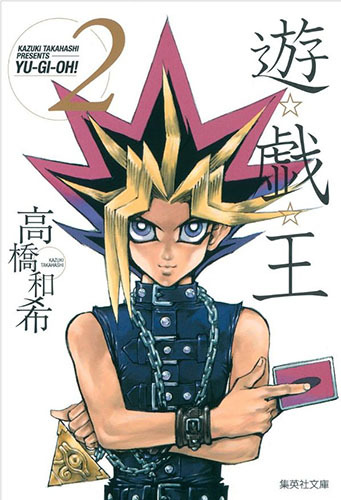 Yuugi plays a card game that’s as much based on chance as any other. 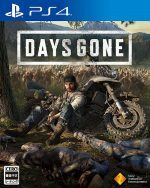 Is there strategy involved when playing the game? Sure, absolutely. That doesn’t ever excuse someone pulling all five of Exodia’s pieces to win a duel, and then following that performance by obliterating all five pieces of the Exodia in the possession of the Seeker of the Red Hunters. Who’s skilled enough to use Exodia and then talented enough to stop someone else from using it? No one, that’s who. Decks are shuffled before each duel, so pulling even one piece of Exodia is purely contingent on chance (as is pulling a card that could destroy the pieces and knowing exactly when to play it). Yuugi is just lucky enough to pull off both, though. 8Luck is weird. It’s rare, so you have to be lucky to be lucky. It must be nice, though. People who are lucky never have to worry about themselves or their problems, because they know that anything concerning them will work out for the best. Seeing a lucky person does create strange, conflicting emotions within normal or unlucky people though. On one hand, it feels good to watch a lucky hero utilize their hidden skill to undermine the efforts of a truly evil villain. On the other hand, it never feels like audiences have to worry about lucky heroes. As long as the luck holds, nothing will harm them. What do you think? Are you a fan of lucky heroes, or do you prefer that your heroes work and think hard for their results? Who’s your favorite lucky character?